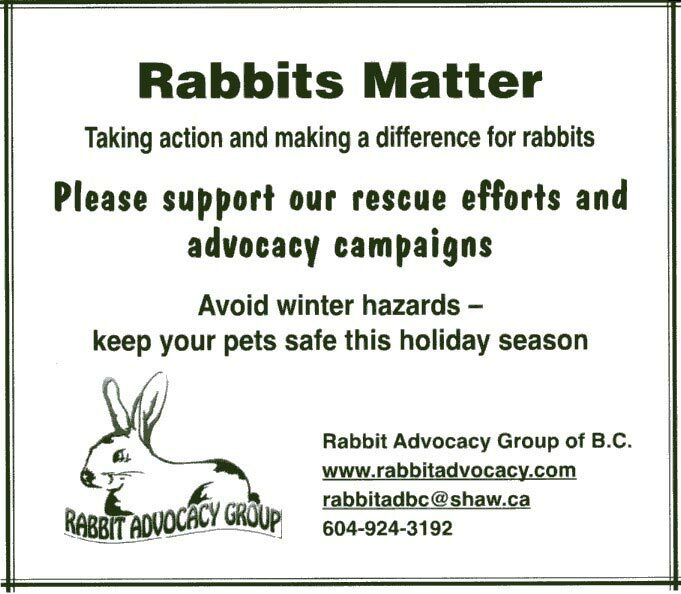 See the Rabbit Advocacy Group's Christmas ad in The Province on December 3rd & 10th. Exposure to harsh, cold weather conditions can cause serious illness or death to animals. See our News/PSAs Page for more!